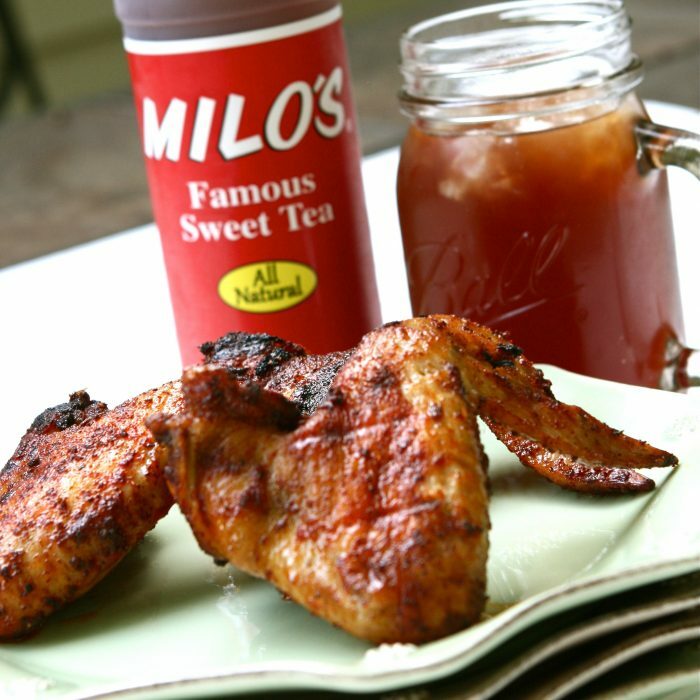 Milo’s Sweet Tea Wings - Milo's Tea Company, Inc. 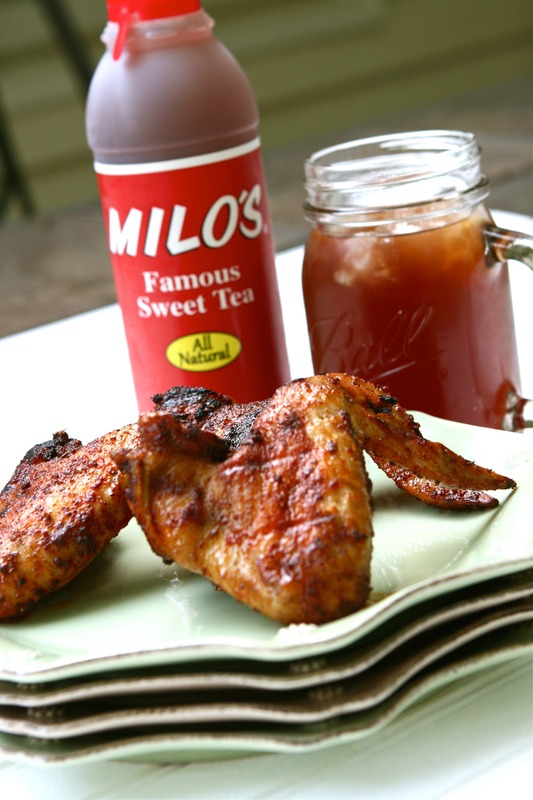 In a medium bowl whisk together Milo's Famous Sweet Tea and 2 teaspoons garlic salt; set aside. Place chicken wings in a large shallow dish. Pour Milo’s mixture over chicken; cover and refrigerate for 8 hours. Preheat oven to 400ºF. Line a baking sheet with aluminum foil spray with cooking spray. In a bowl, combine cayenne, garlic powder, chili powder, garlic, paprika, remaining garlic salt and lemon pepper. Sprinkle spice mixture over chicken and toss until evenly coated. Arrange wings on a lightly greased baking sheet. Bake 20 to 35 to 40 minutes, turning half way through, until skin is browned and tips are crispy. Serve warm. Testing note: I like putting these on the grill over medium-high minute 3 minutes per side before serving. I marinated these only 4 hours and they were great!